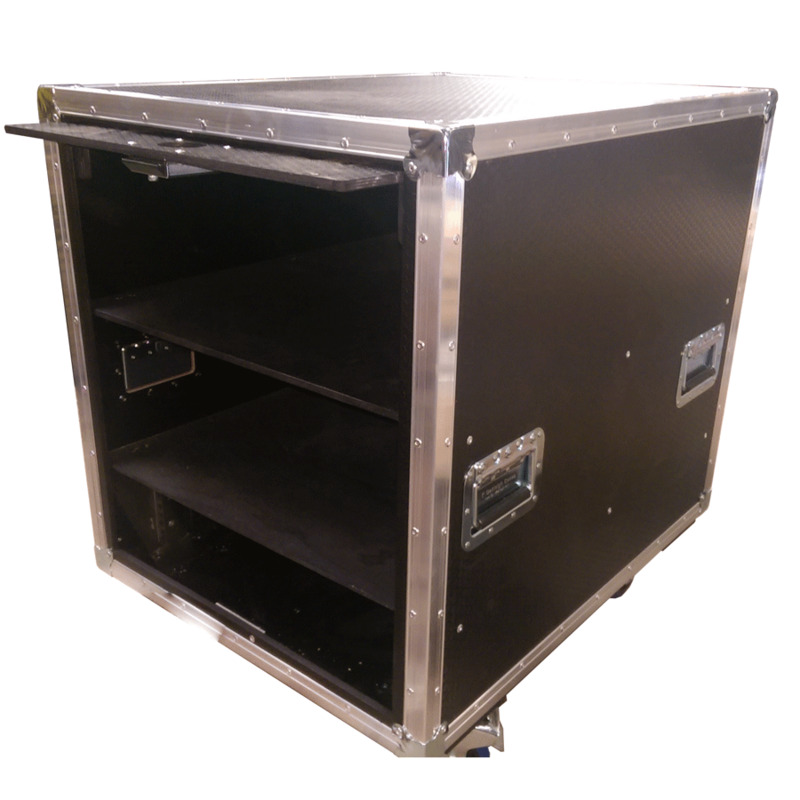 Case for 2 Peli with sliding door. Made out of 9mm Hexagrip. 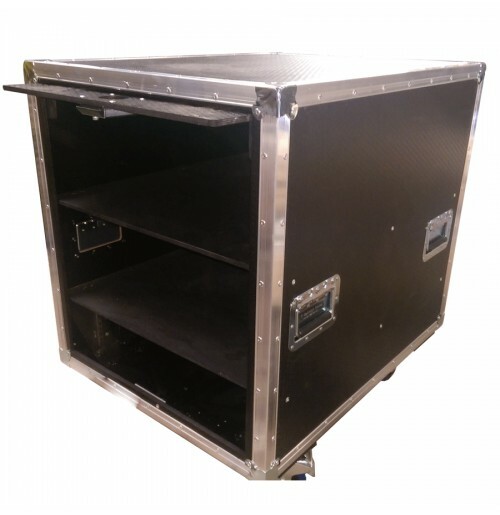 This case is situated on 4 x Castors for easy transportation, the case also provides 3U 14inch sliding drawer.